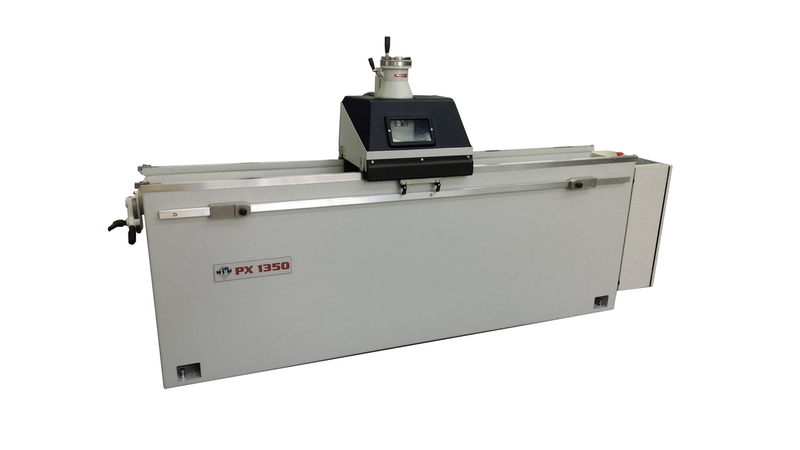 The model PX grinding machine is the first professional model in the range of MVM. It is available in 3 versions with a grinding length of 1000 mm, 1350 mm and 1750 mm. The PX grinding machine has an automatic working cycle programmable by a PLC, motorized downfeed of the grinding wheel on the right side of the carriage or right and left side, and spark-out cycle at the end of grinding cycle. The PX model is suitable for sharpening all types of industrial blades, including paper knives, wood chipper blades (for wood chpping machines), blades for recycling (plastic, PET etc ...), guillotine blades, and other knives and blades tipped with carbide.